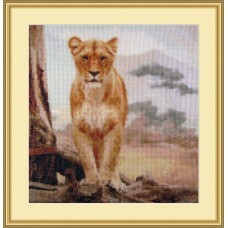 Cross stitch kit with a beautiful lioness (female lion) staring over the plains of the african sav.. 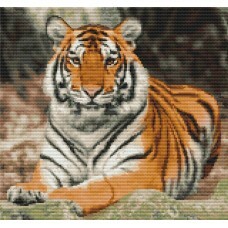 Majestic is a cross stitch kit of a stunning bengal tiger resting on a rock. It's 160 x 150 stit.. 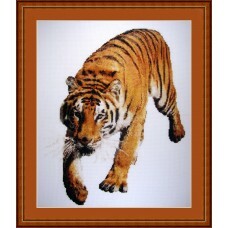 This gorgeous cross stitch kit without background really makes this tiger stand out. 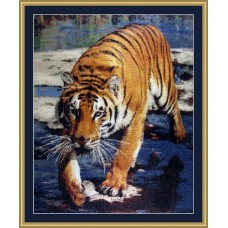 It is a lar..
A very large but extremely realistic cross stitch kit of a tiger jumping over the stones in the wa.. 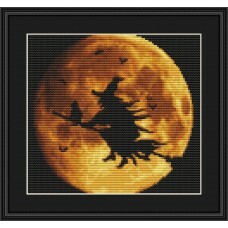 Witching hour is upon us with this fun cross stitch kit of a witch and her cat on a broom, flying pa..